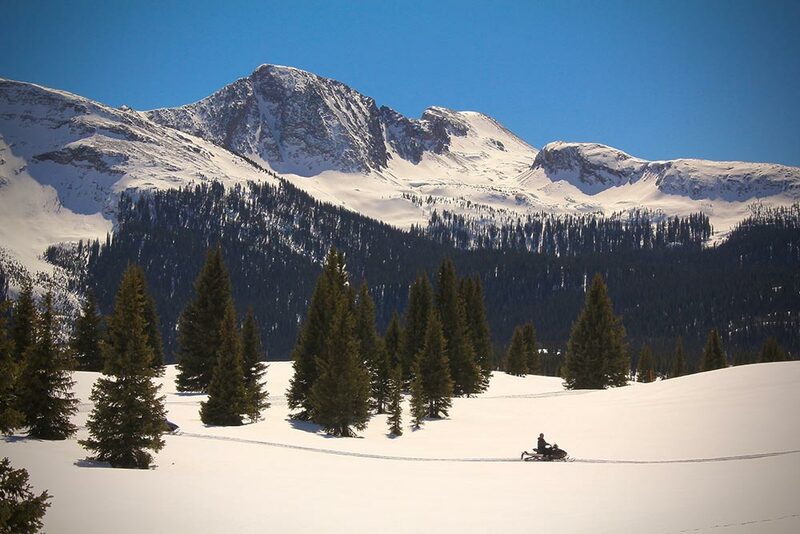 Ice Pirates Snowmobiling is Southwestern Colorado's premier snowmobile touring outfitter, operating daily. Located in the heart of the San Juan Mountains, high above Durango and Silverton, Colorado. The outpost is situated at the top of Molas Pass on San Juan National Forest land, 16 miles north of Purgatory Resort.Molas Pass receives an average of 300 inches of snow a year. This means their trips are available early in the season, and they operate as long as the snow holds out--usually mid to late April. 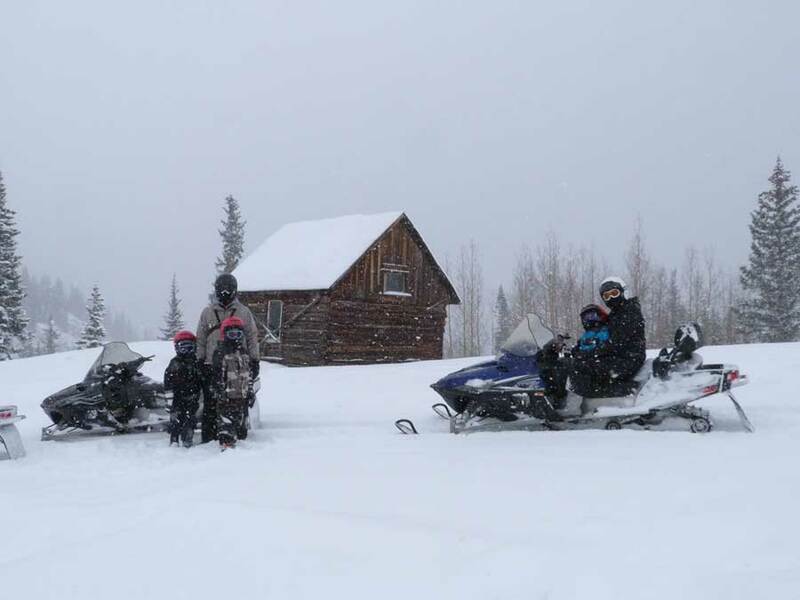 Whether you're looking for family fun with groomed backcountry trails or high-alpine adventure riding, Ice Pirates Snowmobiling offers unique trips that appeal to everyone!Riding with Ice Pirates is easy! Anyone can drive a snowmobile. Safety is Ice Pirates number one concern. Because of this, their qualified guides give hands-on safety and operating orientations after you check in, and you begin on easy terrain. 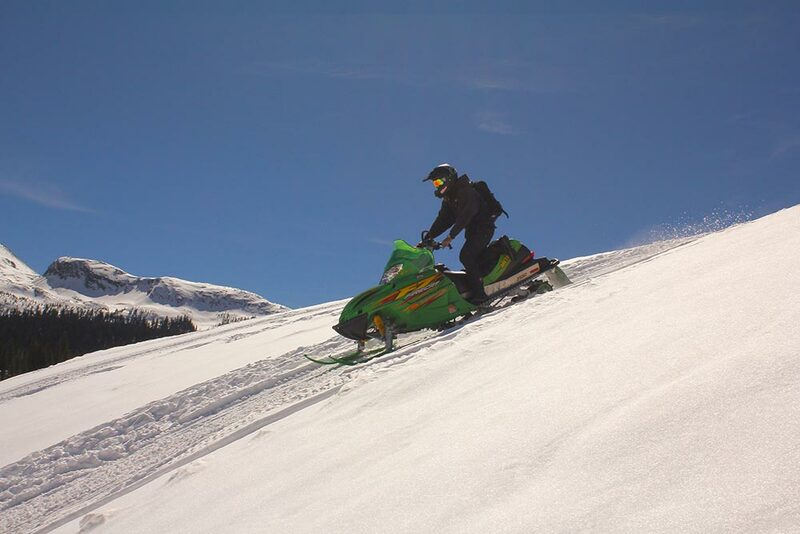 Learning how to drive a snowmobile is not only simple but is also lots of fun once you figure it out!The real fun starts when you head out into the high alpine backcountry! 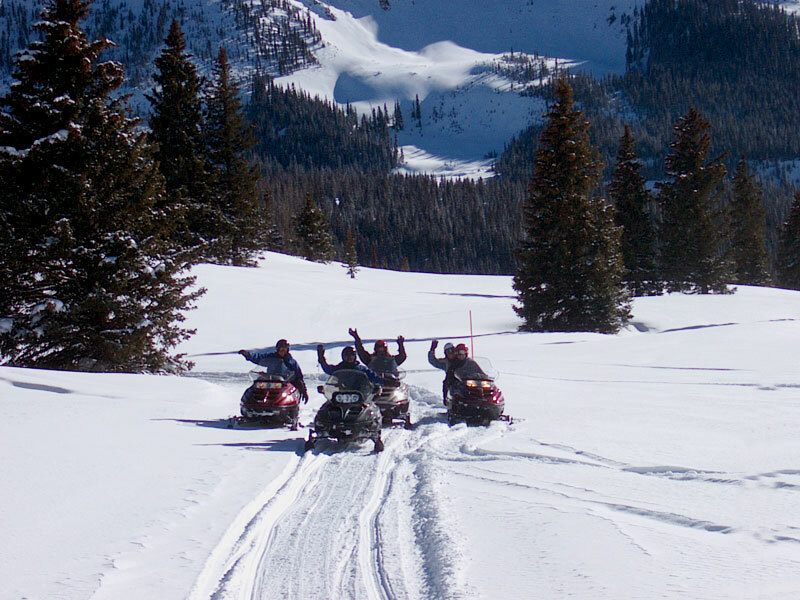 From their location in the San Juan Mountains, you will experience miles and miles of stunning majestic views and radical above-tree line snowmobiling that will satisfy powder hounds! 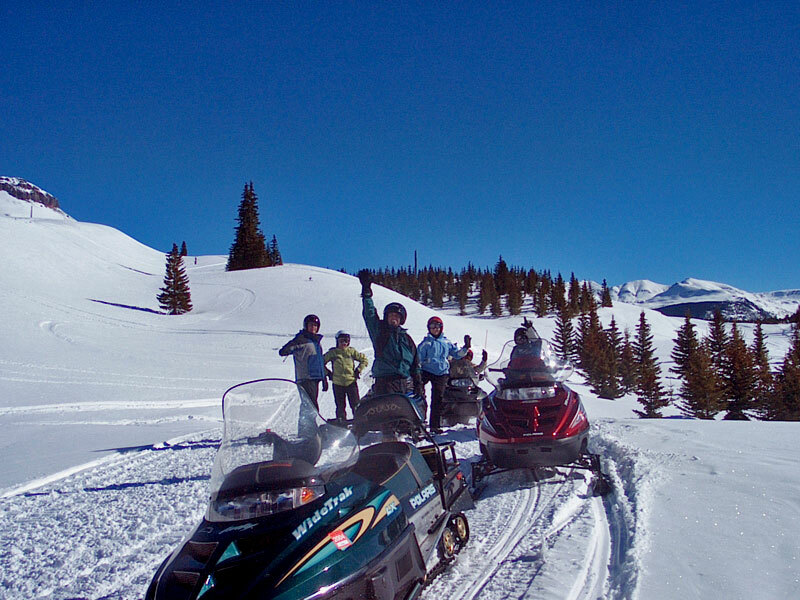 BE AT PURGATORY SKI RESORT UPPER PARKING LOT FOR AN 8AM pickup at Purgatory Resort for a 2 hour snowmobile tour up on Molas Pass. Back down the mountain by 11:45AM. Must be 18 years of age to drive a double sled with passenger on the sled. This is a three hour tour for a driver with a passenger. Trip times include 11am departure. Please request your desired start time at the time of booking and if your requested time is not available, Gateway Reservations / Ice Pirates will call you to schedule an alternative trip time. 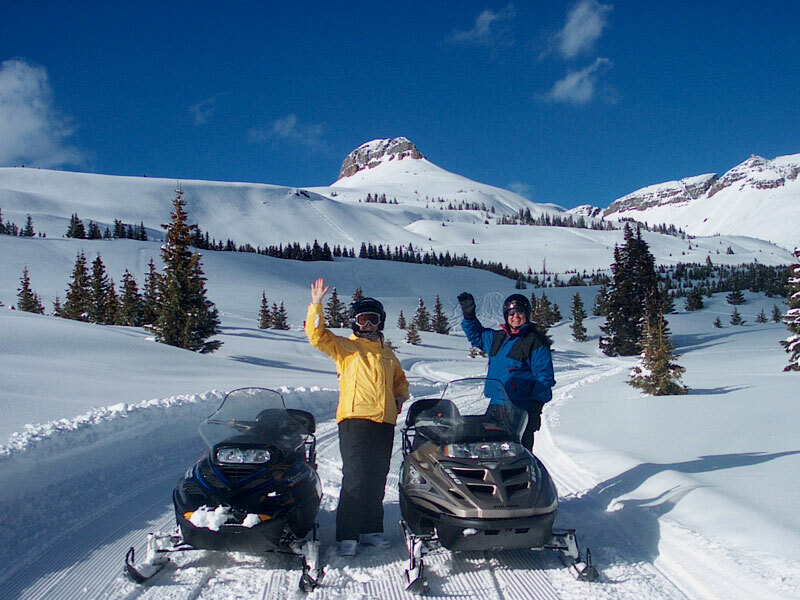 To operate a double rider snowmobile, driver must be at least 18 years old with a valid drivers license. This is a three hour tour for a driver with a passenger. Trip times include 2:00pm departures. Please request your desired start time at the time of booking and if your requested time is not available, Gateway Reservations / Ice Pirates will call you to schedule an alternative trip time. 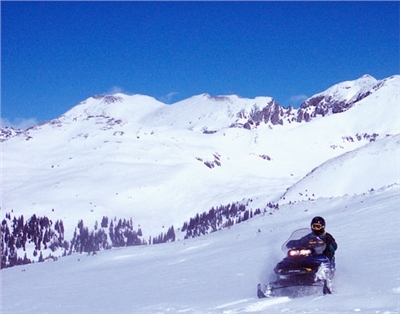 To operate a double rider snowmobile, driver must be at least 18 years old with a valid drivers license. To operate a snowmobile with a passenger the driver must be at least 18 years old. This is a three hour tour for a driver with a passenger. Trip times include 8am departures. Please request your desired start time at the time of booking and if your requested time is not available, Gateway Reservations / Ice Pirates will call you to schedule an alternative trip time. This is a three hour tour for a single driver with no passenger. Trip times 11am departures. Please request your desired start time at the time of booking and if your requested time is not available, Ice Pirates will call you to schedule an alternative trip time. 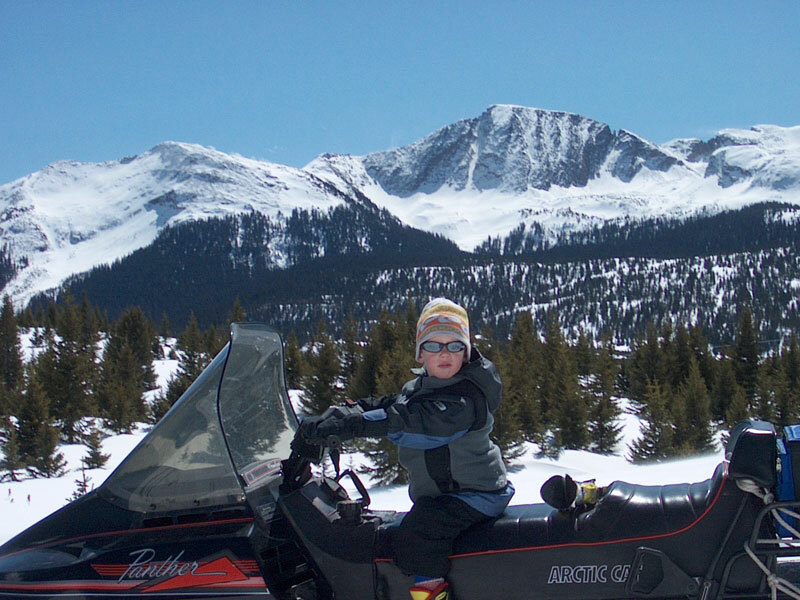 To operate a snowmobile, driver must be at least 16 years old with a valid drivers license. This is a three hour tour for a single driver with no passenger. Trip time 2pm departures. Please request your desired start time at the time of booking and if your requested time is not available, Ice Pirates will call you to schedule an alternative trip time. This is a three hour tour for a single driver with no passenger. Trip time 8am departure. Please request your desired start time at the time of booking and if your requested time is not available, Ice Pirates will call you to schedule an alternative trip time. This is a two hour tour for a driver with a passenger. Trip times include 3:00am departure. Please request your desired start time at the time of booking and if your requested time is not available, Ice Pirates will call you to schedule an alternative trip time. To operate a snowmobile, driver must be at least 18 years old with a valid drivers license. To operate a snowmobile with a passenger the driver must be at least 18 years old. This is a two hour tour for a driver with a passenger. Trip times include 9:00am departure. Please request your desired start time at the time of booking and if your requested time is not available, Ice Pirates will call you to schedule an alternative trip time. This is a two hour tour for a single driver with no passenger. Trip time include 3pm departure. Please request your desired start time at the time of booking and if your requested time is not available, Ice Pirates will call you to schedule an alternative trip time. This is a two hour tour for a single driver with no passenger. Trip time 9:00am departures. Please request your desired start time at the time of booking and if your requested time is not available, Ice Pirates will call you to schedule an alternative trip time. From Durango: Drive north on US HWY 550 past Purgatory Resort. Continue on for 16 more miles, up and over Coal Bank Pass, and up Molas Pass. When you reach the Molas Pass summit, you will travel one more mile till you see mile marker 65 and the green Molas Trail / Molas Lake sign on your right, which is the entrance to our parking lot. From Ridgway: Drive south on US HWY 550, over Red Mountain Pass to the town of Silverton. Continue traveling past Silverton and up Molas Pass for six more miles. You will see mile marker 65 and the green Molas Lake / Molas Trail sign on your left, which is the entrance to our parking lot. Written Cancellation Policy | We require one week notice to cancel without penalties. Within one week, cancellation of entire tours or individual sleds may result in a 50% charge of your payment on your tour or the individual sled that was canceled. No refunds within 72 hours of your scheduled trip. Written Deposit Policy | Full payment taken at time of booking.